In Luxembourg, bankruptcy proceedings are currently the most common insolvency proceedings, while reorganisation proceedings remain rarely used in practice or are often used too late to avoid bankruptcy. In 2017, the number of bankruptcy proceedings remained stable with a total of 988 judgments (compared to 1,039 in 2016).3 In contrast, approximately 420 bankruptcy proceedings were opened by the Luxembourg District Court during the first half of 2018, thus reflecting a slight downward trend in 2018. In this context, the business sector most affected by the high bankruptcy ratio is the services sector.4 These figures reflect the structure of Luxembourg's economy, which is still led by the banking and financial sector. Around 150 credit institutions are established in Luxembourg. Some multinational companies, such as ArcelorMittal, Goodyear, DuPont, SES or Ferrero have chosen to successfully establish their European headquarters in Luxembourg. In recent years, multinational companies active in the high-tech and e-commerce industries have also decided to set up their European or international headquarters in Luxembourg. Regarding Luxembourg reorganisation proceedings, few were opened in 2017. Only one controlled management proceeding was opened in 2017, and was followed by a bankruptcy proceeding. After the 2007–2008 crisis, proceedings were opened against several credit institutions with established subsidiaries or branches in Luxembourg, including among others some Icelandic banks (Kaupthing, Glitnir Bank, Landsbanki) as well as Lehman Brothers and Espirito Santo. Of the above, controlled management is the most-used reorganisation proceeding. Suspension of payments and composition with creditors have rarely been used successfully in the past decades. the amended law of 15 June 2004 relating to the investment company in risk capital (SICAR). Debtors who carry out commercial activities and who make a profession out of these activities may be declared bankrupt. The district court with jurisdiction may declare the debtor bankrupt upon the request of: (1) one or more creditors; (2) the public prosecutor; (3) upon the declaration of the cessation of payment by the debtor himself or herself; or (4) ex officio by the court. The proceeding is carried out by a receiver under the supervision of a bankruptcy judge, who are both appointed in the bankruptcy judgment. The receiver will have the judgment published in summary in the newspapers designated by the court. The receiver represents both the debtor and the body of creditors. The receiver prepares an inventory of all of the debtor's assets. If it appears that the assets are insufficient to cover the costs of the bankruptcy proceeding, the court may upon request of the receiver decide to end the proceeding immediately. All creditors have to lodge a proof of their claim with the district court. The receiver decides together with the bankruptcy judge whether the declared claims have to be accepted or not. Creditors whose claims have been rejected may refer to the district court for judgment. All assets of the debtor are realised either by private contract or by public auction as ordered by the court. The receiver seeks to obtain payment of all outstanding claims of the debtor. The receiver administers and realises the debtor's assets and distributes the proceeds among the creditors on the basis of their rank and after the administrative costs and fees of the receiver are paid. After all proceeds have been distributed among the creditors, the receiver submits a detailed report about the bankruptcy proceeding. Upon the bankruptcy judgment, the debtor is no longer entitled to administer his or her assets or dispose of them. Any legal actions taken by unsecured creditors against the debtor are suspended. Certain preferential creditors are allowed to continue the proceedings they have initiated. Creditors benefiting from financial collateral arrangements or set-off and netting arrangements may exercise their rights (see Section II.iv). The district court determines a hardening period (or suspect period), which covers the situation where the debtor, before having been declared bankrupt, was unable to meet its financial obligations and during which 'abnormal' transactions performed by the debtor may be declared void. Such clawback actions will be discussed below. In practice, the district court usually sets the hardening period to the legal maximum of six months prior to the bankruptcy judgment. Agreements entered into by the debtor are not automatically terminated, with the exception of intuitu personae agreements, employment agreements and those including an insolvency termination clause. Generally any business activity of the debtor is stopped, but in certain cases the receiver may decide to continue the business temporarily. After bankruptcy proceedings have started, the debtor can propose a composition to its creditors. Proposals of composition after bankruptcy proceedings have started are, however, exceptional. Composition with creditors is a protective measure that allows debtors in financial difficulties to avoid the declaration of bankruptcy, through the approval by the district court of an arrangement with its creditors for the settlement of their claims. As in bankruptcy matters, only traders may benefit from the composition with creditors proceedings, provided that they are considered honest but unfortunate. The debtor files the request before the district court with jurisdiction. The petition contains, among others: (1) a description of the events that have led to the financial difficulties; (2) a detailed evaluation of the debtor's assets; (3) a list indicating the names of his or her acknowledged or alleged creditors, their address and the amount of their claims; and (4) the composition proposal. Subject to the request's admissibility, the district court appoints a delegated judge to establish a report of the situation of the debtor. However, should the court consider that the procedure is hopeless, it may order the bankruptcy ex officio. If the court approves the composition proposal, it sets a date for a meeting of creditors. The debtor must deposit a sum to cover the costs to be incurred for the publication of the notice to attend the meeting of creditors. At the meeting of creditors, the delegated judge reports on the state of the affairs of the debtor and the debtor proposes an arrangement to his or her creditors. The composition can only be approved with the approval of the majority of the creditors (representing 75 per cent of the total claims accepted definitely or provisionally). Creditors whose claims are secured by a lien, a pledge or mortgage are not entitled to vote with regard to their claims unless they waive their lien, pledge or mortgage. Following the meeting with creditors, the court convenes a hearing for the final approval of the arrangement. The judgment approving the composition (or not) is issued and, within three days, it is posted in the auditorium of the court and published in summary form in the designated newspapers. Once approved, all enforcement measures are temporarily suspended subject to financial collateral arrangements, and set-off and netting arrangements (see Section II.iv). The arrangement is binding upon all creditors but only applies to liabilities incurred or commitments made before such arrangement. An appeal or objection by the creditors or the debtor against the judgment approving the composition (or not) has no suspensive effect. Suspension of payments may be granted to the debtor, who has suffered temporary liquidity problems, allowing him or her to suspend payments to creditors for a given period of time. It may be granted either: (1) if the debtor, due to exceptional and unforeseen events, has to temporarily cease his or her payments but the verification of the balance sheet shows that he or she has sufficient assets or income to satisfy the creditors in principal or interest; or (2) if the debtor is currently in deficit but there are strong indications that he or she may rebalance his or her assets and liabilities (i.e., return to solvency). The request, accompanied by a description of the events on which the request is based, a list of the creditors and a detailed estimate of the debtor's assets and liabilities, is filed by the debtor simultaneously before the district court and the Supreme Court. The district court appoints one or more experts to examine the affairs of the debtor and a judge to supervise the operations. The judge will hand down his or her report in the presence of the creditors convened on the date (within 15 days of the request) set by the president of the district court. On such date, the creditors are heard, they declare the amount of their claims and decide whether they approve or reject the request for suspension of payments. The suspension of payments may only be granted with the approval of the majority of creditors representing three-quarters of the aggregate debt. After the meeting of the creditors, the district court hands down its opinion, which is transmitted, together with the relevant documents, to the attorney general of the Supreme Court. The Supreme Court hands down its decision within eight days. If the Supreme Court grants a suspension of payments, it determines its duration and appoints one or more commissioners. The management body of the debtor stays in place during the suspension of payments but acts under the supervision of a commissioner. The creditors' rights are suspended for the duration of the proceeding subject to financial collateral arrangements, and set-off and netting arrangements (see Section II.iv). The suspension of payments only applies to the commitments entered into before such suspension of payments was granted. A trader who is either: (1) not able to raise additional credit; or (2) has difficulties meeting his or her commitments may apply to the district court for an order for controlled management, under which the management of the debtor is placed under the control of one or more commissioners designated by the court. A debtor cannot avail himself or herself of the controlled management regime if he or she is already considered bankrupt, (i.e., if the two conditions for bankruptcy referred to above are met). The application for controlled management, accompanied by a list of the creditors and evidence that the prospects for reorganisation (or orderly liquidation) are realistic, is filed ex parte by the debtor before the district court. Only the debtor has standing to seek controlled management and such proceeding may not be initiated by a third party (e.g., a creditor or a shareholder). The purpose of controlled management is to allow either a reorganisation or an orderly winding up of the debtor through the realisation and distribution of his or her assets. Upon the filing of the application, unless the financial situation of the debtor appears to be hopeless, the district court issues a first judgment including the appointment of a delegated judge to examine the debtor's affairs and to report to the court. If the debtor's prospects for reorganisation (or orderly liquidation) are not realistic, bankruptcy will be the only alternative. If the court comes to the conclusion that a reorganisation (or orderly liquidation) is possible, it will grant the application for controlled management and appoint one or more commissioners who have to submit a reorganisation plan or a plan regarding the realisation and distribution of the debtor's assets. The judgment of the court is issued from the delegated judge's report, after having heard the debtor (excluding the creditors). The court's judgment will be published in summary form for the information of all creditors. whether interest accruing after the date of the judgment delegating a judge or the controlled management decree will be due. The content of the commissioners' proposal is individually notified to the debtor's creditors and also published by extract on RESA, the Luxembourg central electronic platform of official publications officially named the 'Recueil électronique des sociétés et associations'. The creditors shall vote within 15 days of the notification and the publication on the reorganisation or liquidation plan, which, upon approval of a majority of creditors representing more than half of the debtor's aggregate debt, and the court's consent, will be binding upon the debtor and all creditors. The debtor or his or her creditors may appeal against the court's judgment to accept or reject the plan agreed to by a majority of the creditors. The court's judgment approving the plan is, however, provisionally enforceable pending the outcome of the proceedings in the Court of Appeal. Creditors may submit observations to the court before it takes its decision to accept or reject the plan. Creditors abstaining from the vote are deemed to have voted in favour. Once the plan has received final approval, its content is applicable and binding upon the debtor and all his or her creditors, whether in agreement or not. If, however, the plan is rejected by the creditors or by the court, the court either pronounces bankruptcy or allots further time to the commissioner for the submission of an alternative plan. All debts of the debtor originating before the date of designation of a delegated judge by the first judgment of the district court are taken into consideration. Further debts, duly authorised by the judge and, afterwards, by the commissioner, which are incurred during the mission of the delegated judge and of the commissioner, may also be taken into consideration in the plan. If the plan is approved by the creditors and the court, the debtor in principle regains control over his or her affairs. Otherwise, bankruptcy proceedings will normally be instituted. The commissioner does not replace the debtor's management but supervises it. The decisions taken by the debtor's management must be approved by the commissioner or should be otherwise voidable. In addition, the commissioner may initiate proceedings to void any 'abnormal' transactions (such as preferential payments) made by the debtor within a period of up to six months and 10 days prior to the application for controlled management. They may also initiate liability actions for mismanagement against the directors. As from the court's judgment, enforcement rights of the creditors against the debtor's assets are suspended (subject to financial collateral arrangements, and set-off and netting arrangements (see Section II.iv)) and any voluntary payments from the debtor require the prior authorisation of the delegated judge. Subject to the foregoing, creditors' enforcement rights remain suspended for the duration of the controlled management. Depending upon the wording of the court's judgment, they may have to submit their proof of claim. 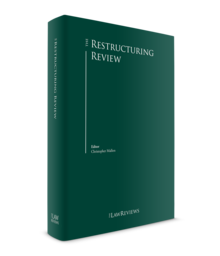 There is currently no legal framework in Luxembourg for an out-of-court debt restructuring. However, the debtor may enter into out-of-court arrangements with his or her creditors. Under the Collateral Law, set-off and netting arrangements (under which the parties agree to set off their mutual obligations) with respect to claims or financial instruments are also enforceable notwithstanding the existence of Luxembourg or foreign reorganisation or winding-up proceedings initiated against the defaulting party. The amended law of 10 August 1915 on commercial companies (the Companies Law) includes specific provisions on the duties of directors of Luxembourg companies in financial difficulties. If as a result of a loss, the net assets of a company are reduced to an amount that is less than half of its share capital, the board of directors shall convene a shareholders' general meeting to deliberate on the possible dissolution of the company.18 In the event of a breach of this provision, the directors may be declared personally jointly and severally liable towards the company for all or part of the increase in the loss. The main legal provisions dealing with the personal liabilities of directors in case of bankruptcy are laid down in the Commercial Code. Any director may be declared personally bankrupt in case of bankruptcy of a company, if he or she has used the company to act in his or her personal interest; has used the company's assets as if they were his or her own; or has carried on, in his or her personal interest, any loss-making activity that would inevitably lead the company into bankruptcy.24 It makes no difference whether the director has been lawfully appointed by the company or has acted in such capacity. The court may decide that the directors of a company are liable for the outstanding debts of that company, if gross negligence by the directors has contributed to the bankruptcy and if the assets of the company do not allow the payment of all the company's creditors. Such gross negligence is appreciated in concreto by the court. The same liability applies in cases where one or several directors have misused their authority in order to continue any loss-making activity of the company, for their own personal benefit and without taking reasonable measures to avoid bankruptcy. The above rule does not only apply to directors who are in office at the moment the company is declared bankrupt but may also apply to any directors that have in the past contributed to the bankruptcy through their actions, to lawfully appointed or to de facto directors. Any payments made or transactions concluded by the management of the debtor, but not by the receiver, during the bankruptcy proceedings, are null and void. Moreover, the Commercial Code provides for specific rules applicable to transactions entered into by a debtor who has been declared bankrupt during the hardening period or made to defraud the rights of creditors, regardless of the hardening period. These rules do not apply to financial collateral arrangements, and set-off and netting agreements subject to the Collateral Law. The receiver may challenge any fraudulent payments and transactions made prior to the bankruptcy, regardless of the hardening period, subject to proof that the creditors suffered a loss and that the transaction was made by the debtor to defraud the rights of his or her creditors. The amended law of 18 December 2015 on the resolution, reorganisation and winding-up measures of credit institutions and certain investment firms and on deposit guarantee and investor compensation schemes implements into Luxembourg law Directive 2014/59/EU of the European Parliament and of the Council of 15 May 2014 establishing a framework for the recovery and resolution of credit institutions and investment firms and Directive 2014/49/EU of the European Parliament and of the Council of 16 April 2014 on deposit guarantee schemes (BRRD). The law provides for measures for early intervention and the resolution of credit institutions and some investment firms, either on an individual or a group basis, and designates the Luxembourg financial regulator (i.e., CSSF) as the resolution authority for Luxembourg. The main resolution tools granted to the resolution council are: (1) the sale of businesses by competent authorities without shareholder consent; (2) the creation of a bridge institution; (3) an asset segregation allowing for a transfer of toxic assets to a 'bad institution'; and (4) a bail-in. The law also provides for the reorganisation and winding up of credit institutions, investment firms and other professionals of the financial sector. In the context of cross-border insolvency proceedings, Regulation 2015/848 of the European Parliament and of the Council of 20 May 2015 on insolvency proceedings (the New Insolvency Regulation) applies to insolvency proceedings opened as from 26 June 2017. The New Insolvency Regulation replaces the Regulation 1346/2000 of the Council of 29 May 2000 on insolvency proceedings (the Old Insolvency Regulation) as from 26 June 2017. The Old Insolvency Regulation continues to apply to insolvency proceedings that were opened before 26 June 2017. Like the Old Insolvency Regulation, the New Insolvency Regulation defines a legal framework for cross-border insolvency proceedings as it governs in particular issues linked to jurisdictional competence, the recognition of insolvency proceedings and applicable law. procedures applicable to collective debt settlement in the context of over-indebtedness. 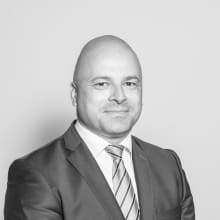 Suspension of payments is excluded from the above list of Luxembourg insolvency proceedings. A proposal from the European Commission for a Directive of the European Parliament and of the Council on preventive restructuring frameworks, second chance and measures to increase the efficiency of restructuring, insolvency and discharge procedures and amending Directive 2012/30/EU33 was released by the end of 2016. The proposal aims to reduce significant barriers to the free flow of capital stemming from differences in the restructuring and insolvency frameworks of the Member States that should have in place key principles on effective restructuring and second chance frameworks, and measures to make insolvency proceedings more efficient by reducing their length and associated costs and improving their quality. 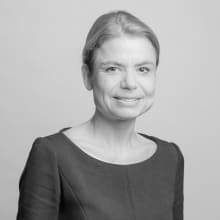 1 Grégory Minne is a partner and Clara Mara-Marhuenda is a partner at Arendt & Medernach. 2 National Institute of Statistics and Economics studies, Statec, www.statistiques.public.lu, Macroeconomic forecast 1995–2018. 3 Rapport d'activité 2017 du Ministère de la Justice, Gouvernement du Grand-Duché de Luxembourg, février 2018, Partie II – Statistiques des juridictions, parquets et de l'Administration pénitentiaire, pages 96 and 123. 4 www.lequotidien.lu, 4 January 2017 quoting an analysis made by Creditreform. 5 Articles 437 ff. of the Commercial Code. 6 Grand Ducal Decree of 24 May 1935 on controlled management. 7 Law of 14 April 1886 on composition with creditors, as amended. 8 Articles 593 ff. of the Commercial Code. 9 Article 437 of the Commercial Code. 10 Novelles, Droit commercial, T.IV, No. 203, p. 72. 11 Court of Appeal, 5 December 2012, docket No. 38410. 12 District Court of Luxembourg, 14 May 2004, docket No. 75935. 13 Court of Appeal, 20 February 1934, Pas. 13, p. 268. 14 Court of Appeal, 12 November 2014, Pas. 37, p. 340. 15 Article 20(4) of the Collateral Law. 16 Article 441-8 (ex-58) of the Companies Law. 17 Article 441-9 (ex-59), Section 1 of the Companies Law provides for the personal and individual liability of a director towards the company for management errors. Article 441-9 (ex-59), Section 2 provides that a director shall be liable to the company and third parties in the event that the company or third parties suffer a loss due to a breach of either the law on commercial companies or the company's articles of incorporation. 18 Article 480-2 (ex-100) of the Companies Law. 19 Article 1500-2 (ex-163) of the Companies Law. 20 Article 1500-6 (ex-167) of the Companies Law. 21 Article 440 of the Commercial Code. 22 Articles 573 ff. of the Commercial Code. 23 Article 444-1 of the Commercial Code. 24 Article 495 of the Commercial Code. 25 Article 445 of the Commercial Code. 26 Article 446 of the Commercial Code. 27 Luxembourg District Court, 28 May 1925, Pas. 11, p. 206. 28 Article 448 of the Commercial Code. 29 www.lequotidien.lu, 4 January 2017 quoting an analysis made by Creditreform. 30 www.wort.lu, 17 November 2016; www.paperjam.lu, 29 December 2016. 31 G Minne/F Fayot, Les principales innovations du nouveau règlement relatif aux procédures d'insolvabilité, JDE, January 2016, p. 2 ff. 33 COM(2016) 723 final (http://eur-lex.europa.eu/procedure/EN/2016_359). 34 No. 6539 on business preservation and modernisation of bankruptcy law.